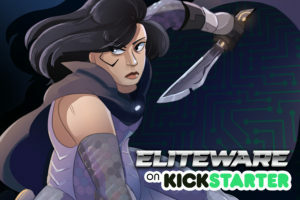 "Cosmic Fish Chap 1- 6 Recap part 2"
Did you guys now I’m also a colorist for a cyberpunk comic called Eliteware! It follows the story of two siblings who have chosen different paths to take down the elite in order to save their parents from debt. Follow their two stories and they begin igniting a revolution along the way!